Spring is the time to spring forth and take action.The New Year’s resolutions that flailed in January will take on new life in spring when we feel a spark of energy from within. It is time for “spring fever,” a time to get out of our comfort zone and be active again. How do you tap into this wisdom of nature to create an energy of harmony and flow in your spa space? Traditional Chinese medicine (TCM) provides a good model with feng shui, the art of place and placement. Symbolically, feng means wind/air and represents yang or masculine energy, and shui means water, representing yin or feminine energy. Think of yang energy as outgoing, like a centrifugal force, and yin energy as receiving, like gravity. They are two parts of the same whole that create the duo-energy dance that fuels all living things. 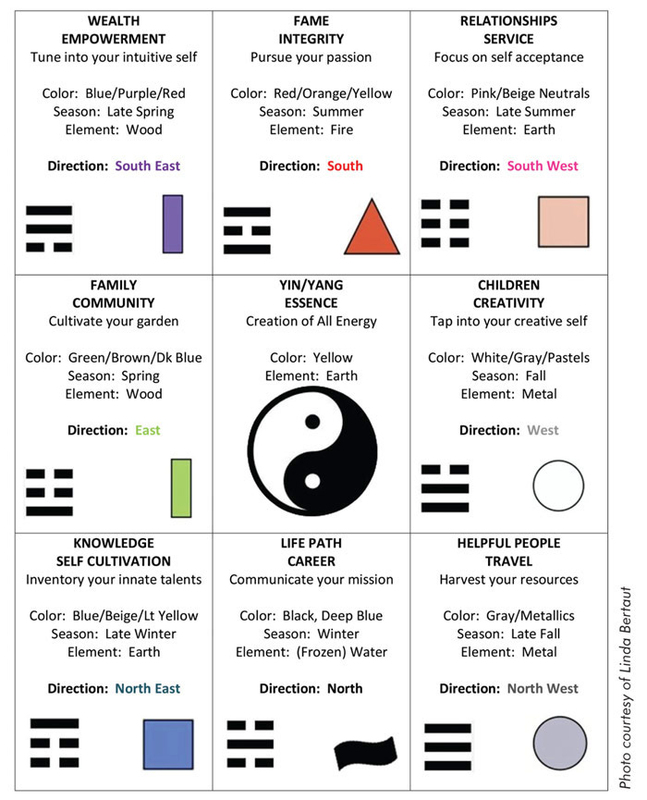 Using the feng shui bagua, color and the five elements, we are going to take a peek into the flow of energy as it relates to a spa owner/manager and the spa space. The goal is to create a safe and sacred space for clients to feel nourished that represents you and your essence. The bagua, meaning “eight areas,” is the feng shui template used as an overlay to observe the natural flow of energy in your entire spa and individual rooms. (See the Spa Bagua Table.) The middle represents the essence of the space with the yin-yang symbol, and it’s an extension of the person or people who occupy the space. Your essence is the core of your business with your energy setting the tone. To build a successful business, it is of utmost importance that you have self-awareness to know who you are. From this place of knowing, you infuse your space with loving intention. 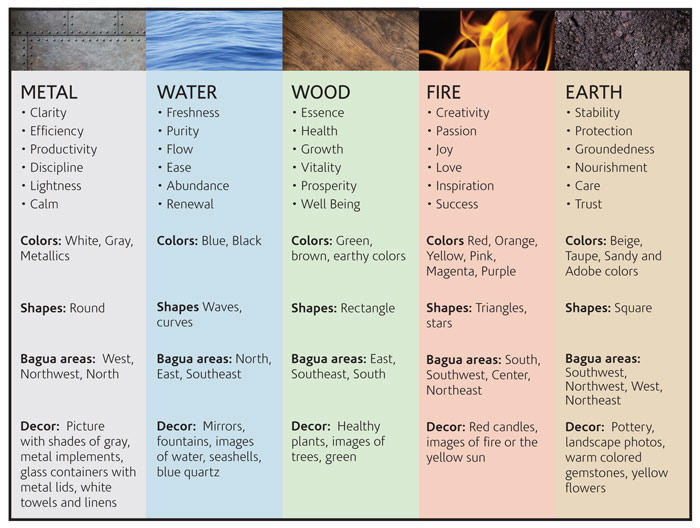 In the Spa Bagua Table, notice that each section is associated with a season, colors, a direction and an element. Please note that the directions on the chart are symbolic and are not to be confused with aligning your actual spa directions to the chart. Hold the bagua in your hand as you stand at the main entrance to your spa room. Your entrance will be through one of the following areas: knowledge/self-cultivation, life path/career or helpful people/travel. Overlay your chart onto your room based on the entrance. The far right corner will always be your relationships/service area, and the far left corner will be the wealth/empowerment area. Each of these areas is associated with specific qualities. To create excitement in your spa, utilize the associated colors and elements with selected areas. Color is a multi-sensory experience in your spa. Each color has its own vibratory rate that helps to energize, stimulate and even lift the spirits. Warm colors, including red, orange and yellow, are the most stimulating and energizing. Blues and purples are cool and considered to be the most calming and enlightening. As a shade gets closer to red, it becomes more stimulating; as it moves closer to blue, it becomes more calming. Yellow is energizing, helping to lift the spirits, while green represents new growth, balance and is the most healing. Each color has an intensity range, meaning how soft or bright a color appears. The intensity of bright colors will generate more energy than soft colors. Your spa space will benefit from soft, calming colors on the walls with corresponding color accents to match the various bagua areas you choose to enhance. The five elements (see Five Element Chart) are a core part of TCM, as they represent the cyclical energy flow of nature. The chart lists the qualities of each element along with colors, shapes and spa décor ideas. Use this chart for inspiration to enhance your spa decor. They five elements are as follows. Wood. Representing spring, this etheric energy contained within collective consciousness brings about vibrant health, vitality and growth. It feeds fire, the spirit within. It is used as the feng shui cure for wealth and empowerment. Place favorite items that make you feel good in that space. Fire. Representing summer, this element is the spark of life—promoting the flow of creativity and contributing to well-being. It has supportive energy to your business efforts, assisting you in achieving respect and attracting the energy of weath. Earth. Representing late summer, earth is all physical matter. It helps create grounded energy that nourishes and protects you and clients. It also helps maintain inner balance, joy and peacefullness. Metal. Also called air, metal represents autumn and mental energy. It creates a calming energy which allows for clarity while eliminating distractions. Metal enhances the qualities of precision, sharpness and effectiveness. Its balance will help you live with clarity and lightness. Water. Representing winter, this element helps you to tap into the collective consciousness with feelings. It creates a refreshing energy of simplicity and ease. It also brings renewal, purity and a sense of flow in any space. It is a symbol of abundance and considered to be a powerful weath cure. Nancy Dadami said, “You do not have to do something in every part of the bagua. Pick one or two areas and focus on that rather than trying to make adjustments in all nine areas at once.” Starting in the relationship area is ideal, as it will enhance your client relationships. Pink, the color of love, is the predominant color and displaying two of something reinforces good relationships. Use two rose quartz hearts or crystals or have a picture that represents partnership in that corner. The knowledge/self-cultivation area, across from the relationship corner, is also a good place to focus, as it represents your level of skill and gives you credibility. Use symbols of wisdom, such as your esthetician license, pictures of mentors or people who inspire you in this area. When you educate yourself and cultivate your essence by going within, you become wise. Exuding this wisdom, you make healthier relationship choices, which in turn attracts a better quality of client. One of the best ways to enhance the wealth area is to keep it clear of clutter. Use feng shui wealth symbols that you are attracted to, such as a healthy bamboo plant, a red silk mystic knot with coins, citrine crystals, a feng shui fountain or something that represents wealth to you. Keep open trash containers and your laundry basket out of this area. If your bathroom or sink is in the wealth area, you will need to utilize additional feng shui money cures to make the appropriate energy adjustments. Hiring a professional feng shui consultant will provide a plan that will address the specifics of your space. Everything in nature works in cycles starting with the first burst of growth in spring and ending with the cold stillness of winter. You don’t have to do anything to “make it work” except honor the laws of nature and follow her lead. Once you wake up to the wealth of wisdom within, and allow the flow of energy to work through your life and space, you are able to go with the flow to create prosperity and abundance. 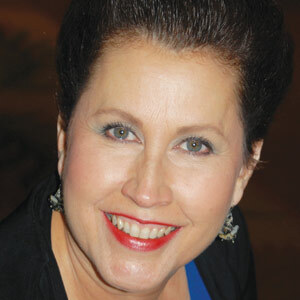 Linda Bertaut is an esthetician and holistic reiki master teacher who specializes in transformative esthetics. Known as the beauty industry’s “reiki and energy-healing educator,” her signature wellness treatments and innovative techniques are being used in salons and spas throughout the country. She is also a frequent book and magazine author and speaker at many industry events. Contact her at linda@chakralicious.com or 925-446-6284.